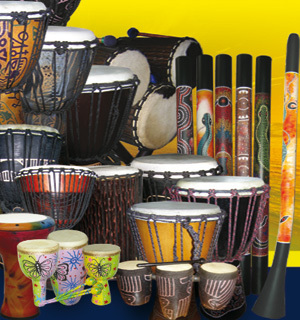 Our GO Percussion line of instruments is as extensive as it is diverse.Rhythmic percussion can be as varied as your imagination allows. The range comprises both larger percussion instruments like djembes and handheld rhythmic instruments like shakers. But also chromatic percussion, obscure ethnic material, marching percussion and a complete range of mallet sticks. Go Percussion caters to the entire percussion community.